Moscow - Germany will find out who stands between them and a successful defence of the World Cup as the draw for the 2018 finals in Russia is held in a glitzy ceremony within the Kremlin in Moscow on Friday. After beating Lionel Messi's Argentina in the final at the Maracana in Rio to lift the World Cup in 2014, the aim for Joachim Loew's side now is to become the first nation since Brazil in 1962 to retain the trophy. "I don't like how Germany play. They have a structure and a well organised project but they don't have the kind of stars that the other powers do," Argentina coach Jorge Sampaoli said this week. Certainly, the Germans can expect stiff competition from the Brazil of Neymar - revitalised after their nightmare 7-1 loss to the Germans on home soil - and Spain in particular. 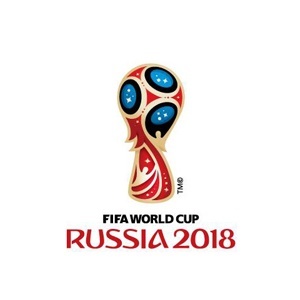 The first step, though, is discovering who they will meet in the group stage as the focus turns to the State Kremlin Palace, where the snow and freezing temperatures of a Russian winter will greet the footballing world for a ceremony starting at 17:00 SA time. But if those nations are certain of avoiding each other, danger lurks in pot two, where the Spanish - rebuilt into a formidable force by Julen Lopetegui after poor showings in 2014 and at Euro 2016 - lie along with England. "Whatever happens we will accept it gladly and sportingly. I don't waste energy thinking about who I prefer and who I don't," said Lopetegui recently, but Spain and England will surely be crossing their fingers in the hope of being paired with Poland or the Russians. "It will be difficult to repeat the ride of 2016 in France but we don't want to set any limits," said the Iceland coach Heimir Hallgrimsson in an interview with Italy's Gazzetta dello Sport. Those sides will add something new to a tournament that will be deprived, among others, of Italy for the first time since 1958, 2014 semi-finalists the Netherlands, and the United States.